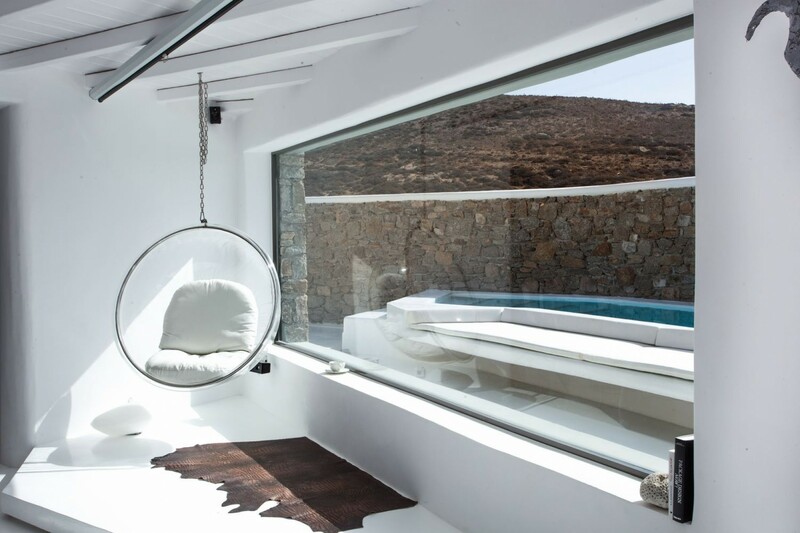 Welcome to White Haven, a 4-bedroom luxury villa perched along the majestic cliff side in Mykonos, Greece. 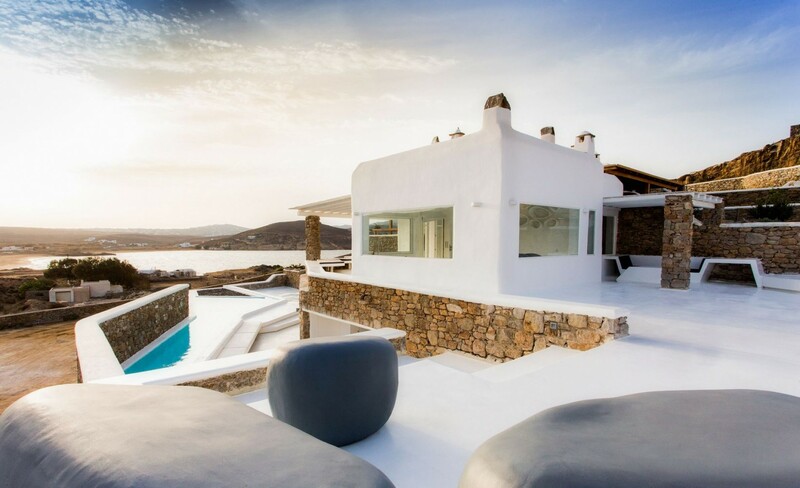 This modern sun-washed villa sits above the crystallized blue Aegean Sea and offers you the most majestic panoramic views of the Greek sunrises and sunsets. 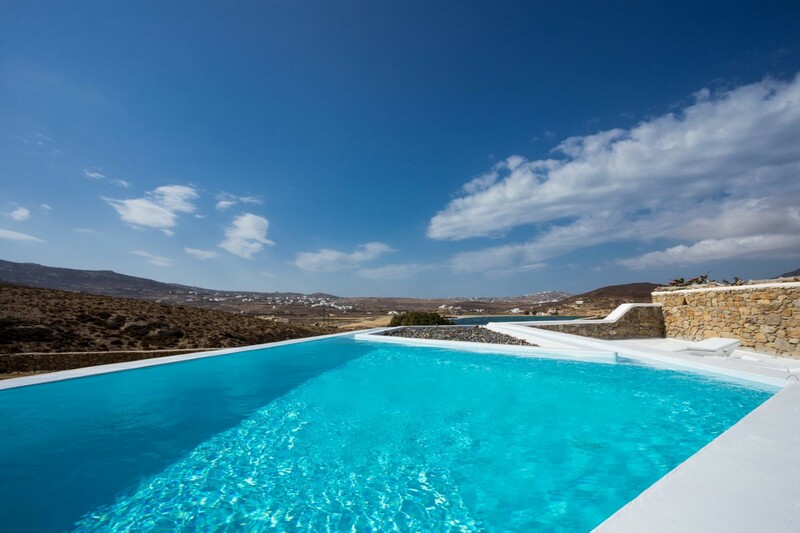 Villa White Haven has impeccable features to make your stay more than exceptional, including its private pool, two home cinemas, a private gym and even some Massage & physiotherapy beds to indulge in. 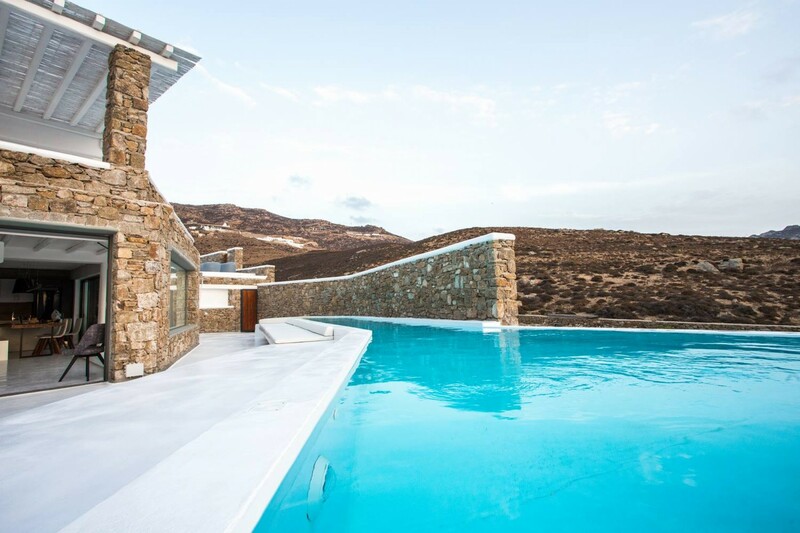 White Haven is a luxurious Greek villa that can offer you the ultimate holiday experience. 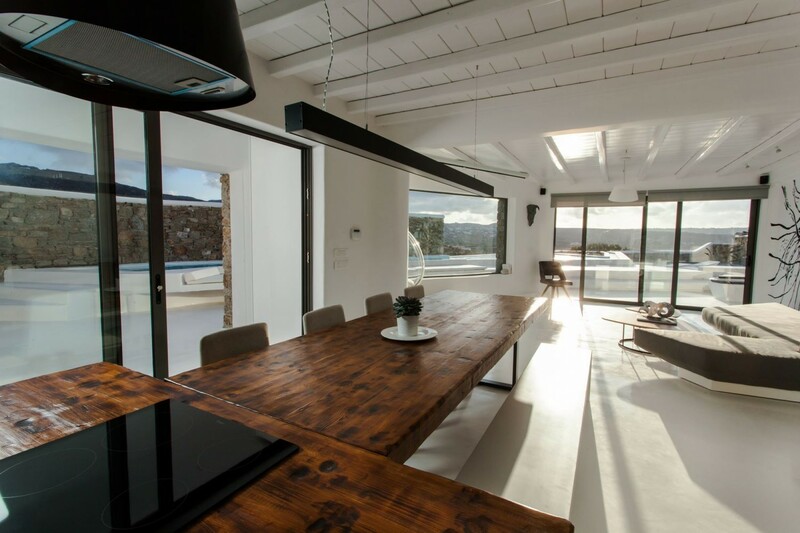 This villa can accommodate up to eight of your guests as well as be pet-friendly. The villa is located only 150m, a short leisurely stroll, from Ftelia beach and this beachfront stage can guarantee unforgettable new experiences. The four luxurious bedrooms and all built with the unobstructed panoramic sea or mountain views as the key focus for the rooms. Space is open and light, full of wrath and the finest of features to ensure you have an exceptional holiday here. 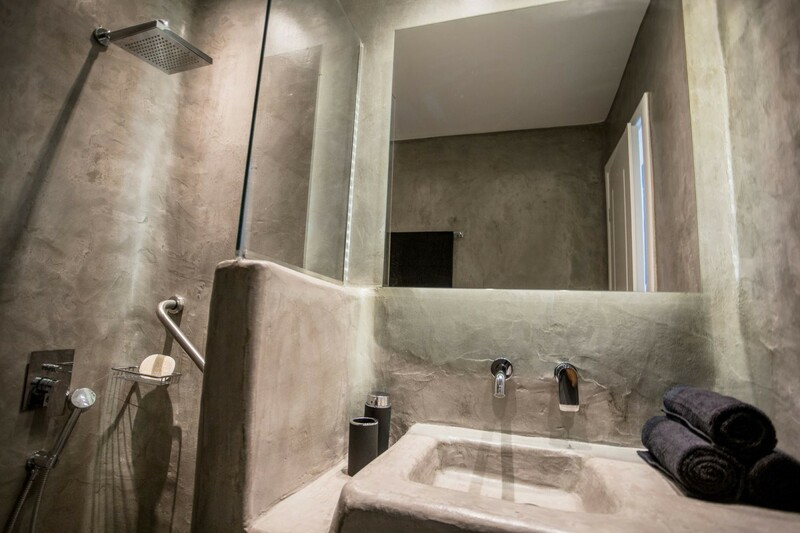 Each bedroom has direct and easy access to the private pool and on the upper levels, the rooms have access to the terrace area and private patios. The property includes a vast variety of amenities which makes you feel as if you are staying in a five-star resort. 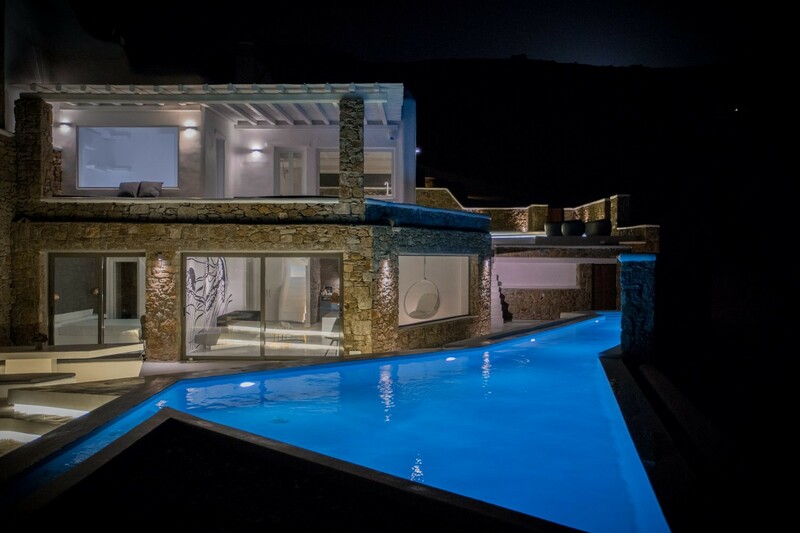 White Haven is a contemporary newly established villa that is fitted with modern and highly sophisticated features. 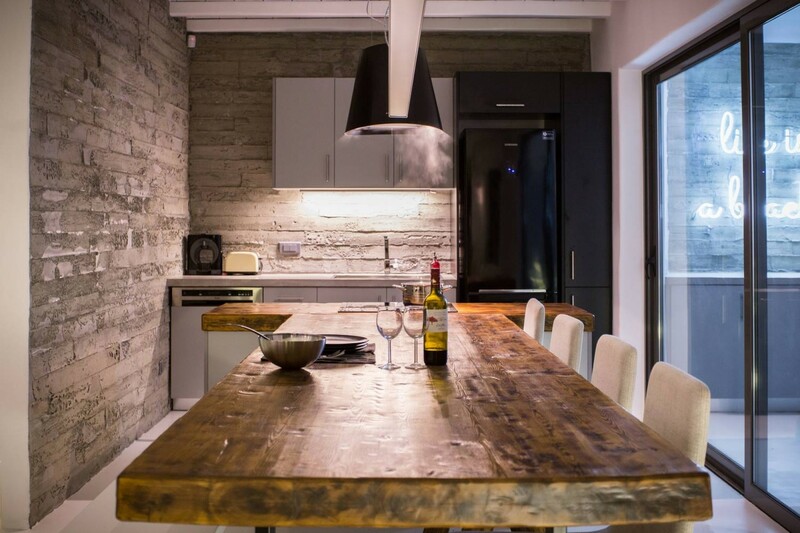 The architectural layout and interior designs blend beautifully forming a chic and rustic property. You can simply relax and meditate between the surrounding mountains or stretch up towards the clear blue skies with yoga. If you prefer working out indoors and wish to stick to your fitness regime then you’ll find more fitness equipment and exercise options in your own private gym. Plunge into the pool for a refreshing swim and a few laps if you wish, or simply float on your back and listen to the lapping water as it washes away your stresses. The private pool is surrounded by a large open terrace for you to sit out on the sun loungers and relax under the suns radiance. There are various dining and lounging areas for you to choose from. 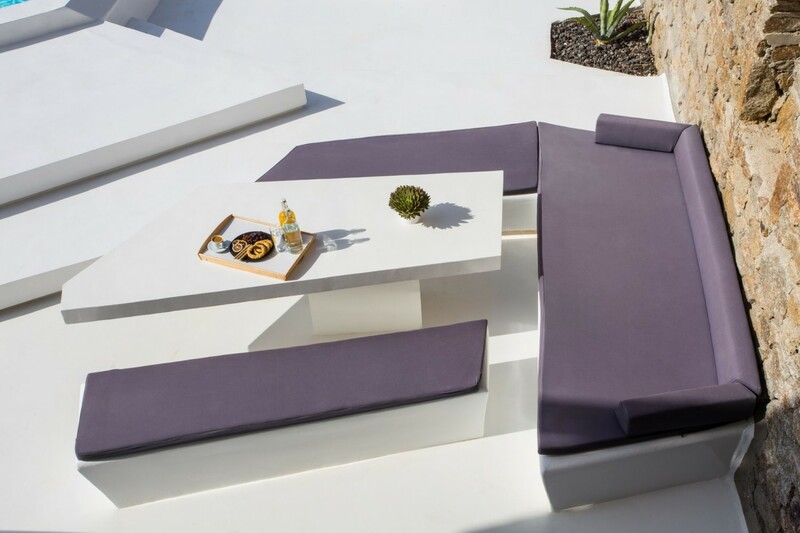 Relax on the sunbeds and built-in sofas as you read your favorite book and let the fresh breezes skim across your skin. If you get too warm them why not stand under the refreshing outdoor alfresco shower. You will also find a beautiful dog house for your beloved pets to sleep in. Walking into the inside of your private villa you will find a variety of features located on the ground floor. 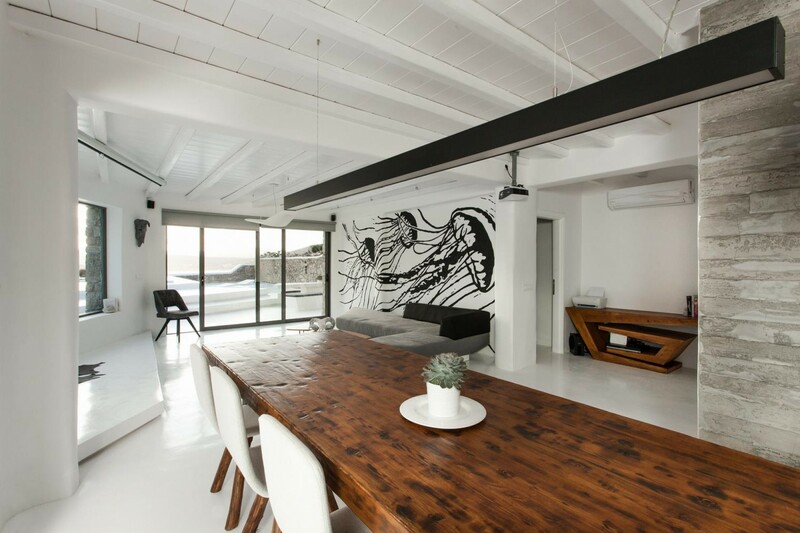 The open design Living area is fitted with plush sofas and is blended together with the dining area. This space is flooded with light and warmth. The kitchen area comes fully equipped and ready for you to try out some new recipes or an old time favorite. The kitchen is fitted with the following features such as a four-ring cooker with an oven, a large fridge, a dishwasher, a microwave, a washing machine and tumble dryer, dolce gusto and authentic pressed coffee makers, a fruit squeezer, a toaster, cookware and serve ware. 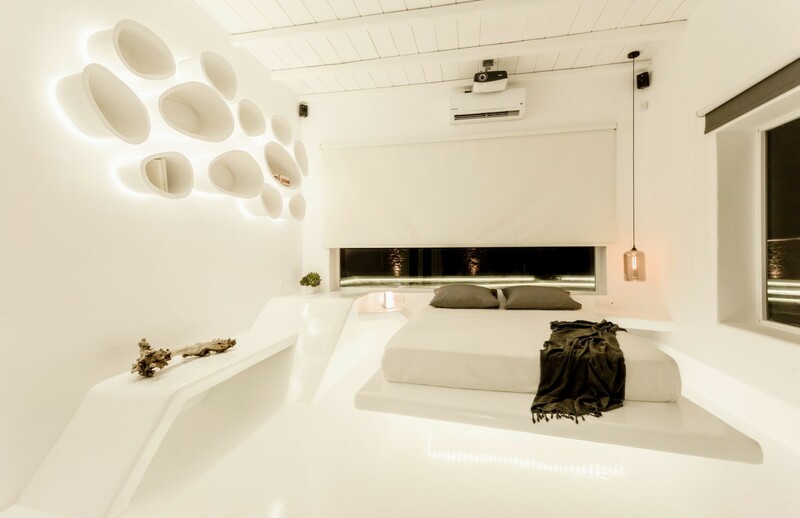 Take advantage of the state of the art technology that is laced throughout this modern villa. The private home cinemas area ready for a movie marathon with each equipped with a large screen, projector, Dolby Surround System, Blu-ray & media player, Apple TV, Full device connectivity and content streaming using Bluetooth and air-play. The rooms also have Netflix and Hulu Plus, for you to sit back and flick through all your favorite series and films. On this ground floor, you will also discover the master suite fitted with a luxurious queen-sized bed. 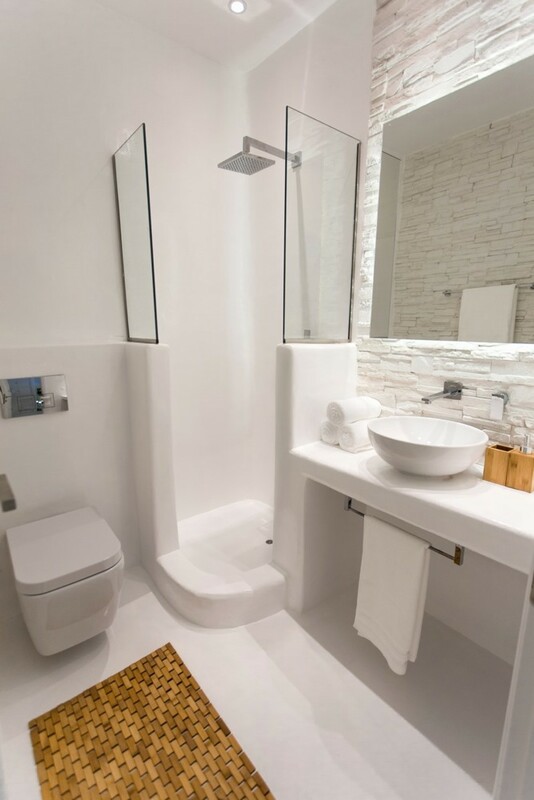 The private en-suite bathroom is also wheelchair accessible with toilet and shower support rails. The room is fully air-conditioned and has direct access to the front yard and pool with incredible sea and mountain views. The private Gym is located along this level and is ready for you to use at any time. 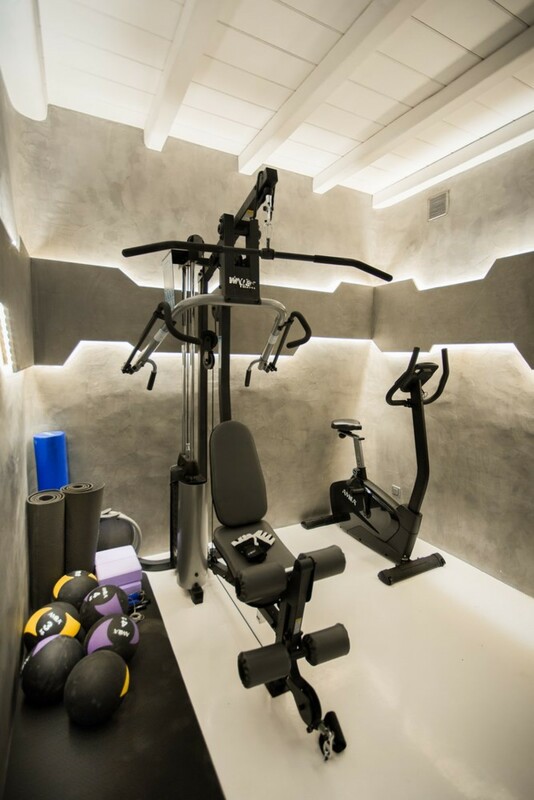 It comes fully equipped with stationary bicycles, multifunction fitness machines including a massage bed, yoga mats and Pilates equipment for outdoor exercises. The ground floor has an additional Guest bathroom and a storage room. Walking up onto the upper level you will discover this levels master suite bedroom fitted with a large queen-sized bed and a private en-suite with a bathtub. There are also another two bedrooms that are very spacious and are fitted with queen-sized beds. All rooms are fully air-conditioned and have direct access to the upper-level terrace with the captivating views of the glistening waters and the surrounding tropical lands. One of these bedrooms has access to the backyard as well as another shared bedroom in the villa. The gardens that surround the property are laced with delicate flowers that grace the area with vibrant colors and sweet-smelling fragrances. 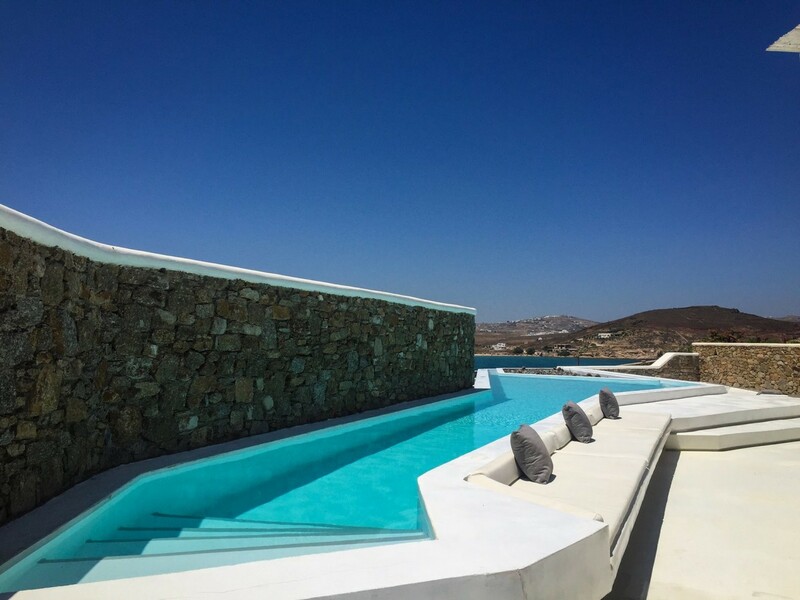 Perched above the glistening blue Aegean Sea, Villa White Haven is a modern villa which offers an enticing ambiance combining the serene atmosphere with luxurious designs. 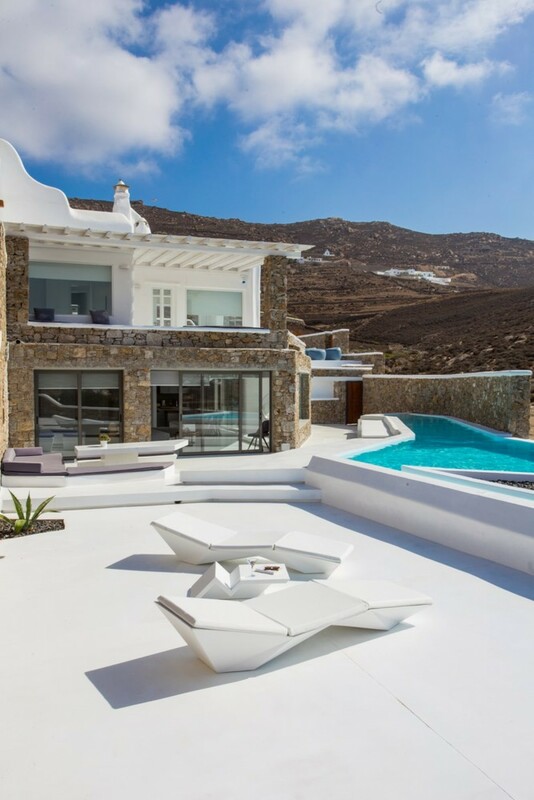 The villa’s amazing views and uncompromising design make it the finest choice for you. 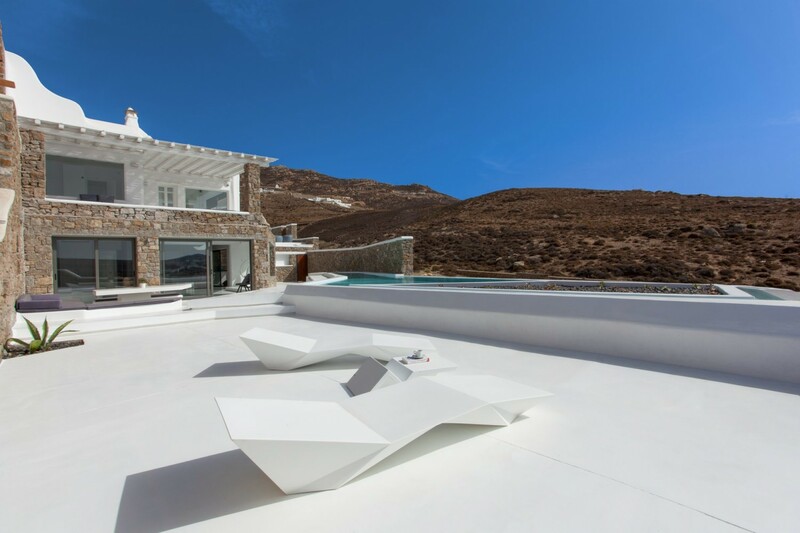 It lies on one of the most desirable locations on the island of Mykonos. 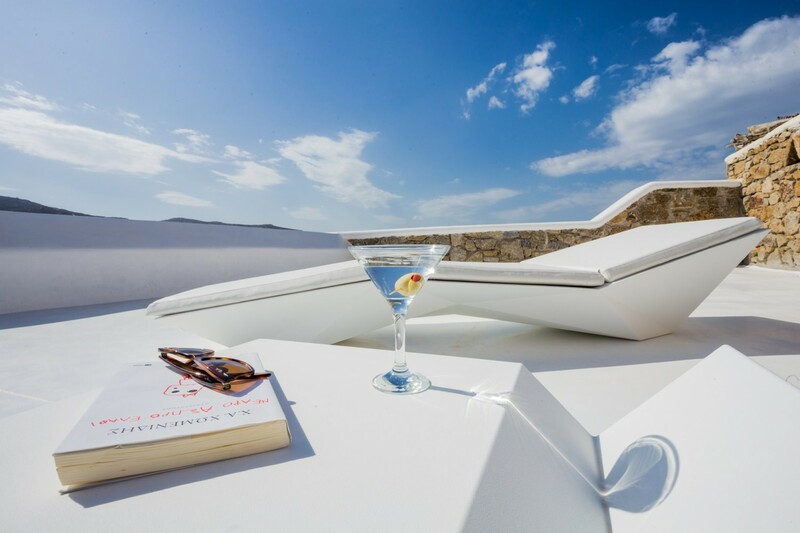 Villa White Haven will provide you with an experience you’ll never forget, living the Greek island lifestyle in the comfort of your own villa by the Sea. 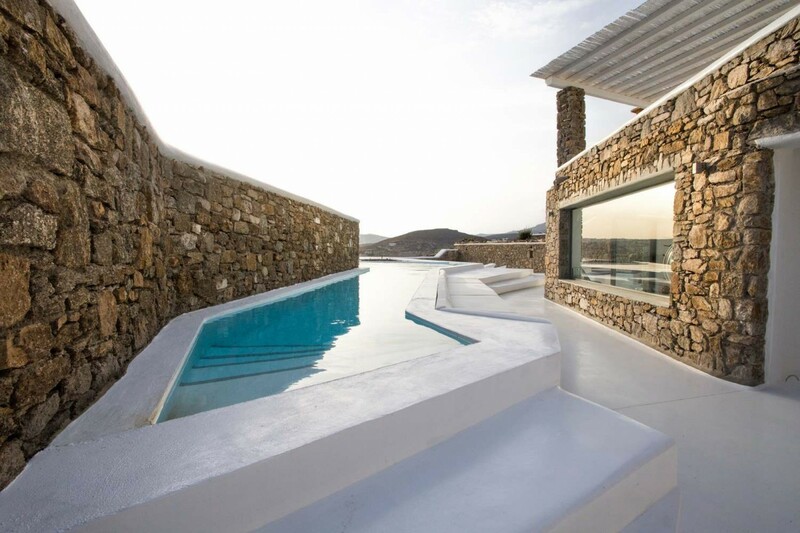 White Haven is perched along the majestic cliff side in Mykonos, Greece. 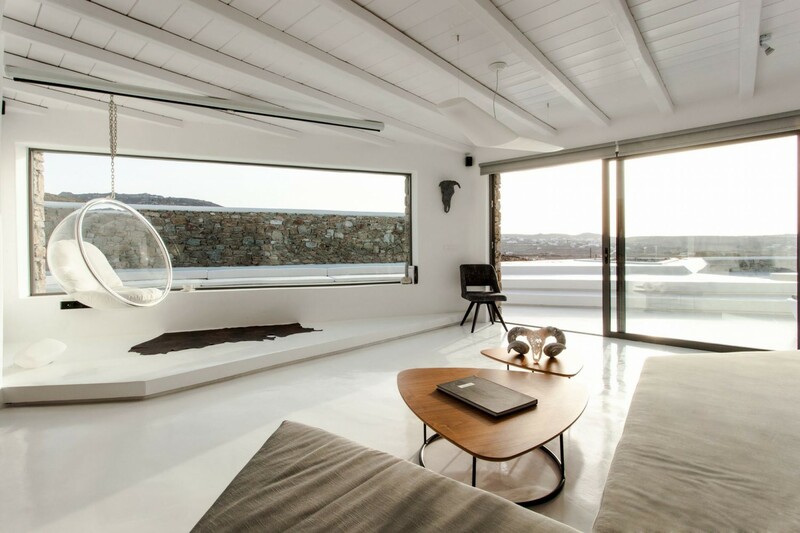 This modern sun-washed villa sits above the crystallized blue Aegean Sea and offers you the most majestic panoramic views of the Greek sunrises and sunsets. 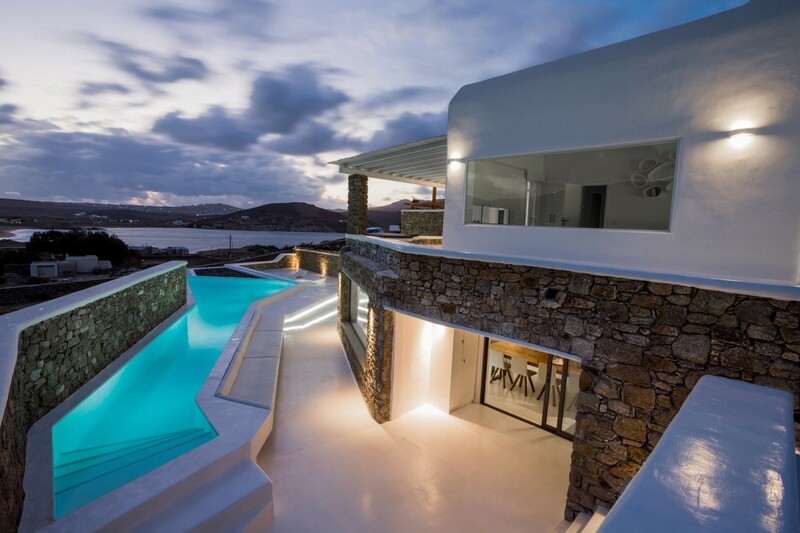 Mykonos is an island in the Cyclades group in the beautiful Aegean Sea. It's popularly known for its summer climate and charming atmosphere. 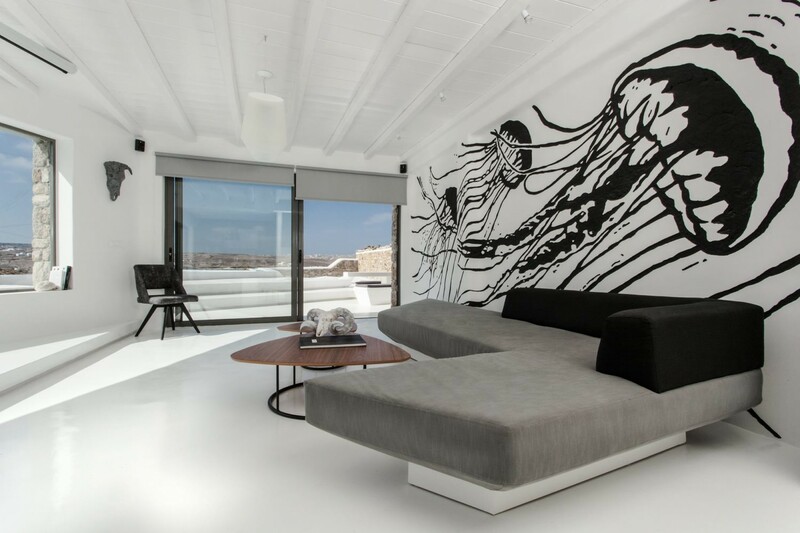 Iconic landmarks include a row of 16th-century windmills, which sit on a hill above Mykonos town. Delve into the local area of Agios Stefanos and you will find a variety of things to do and see. This quaint little former fishing has something to cater for all ages. It brings with it some exquisite white sandy beaches, calming blue shallow waters - perfect for young children, a buzzing friendly atmosphere, and a wide choice numerous bars for you to enjoy. There are also many Shops, restaurants, and cafes here. You can choose what you want to do with your time here. Whether you want to go to the Agios Stefanos beach, go snorkeling, swimming, kayaking, take a boat cruise or stay inside your own private paradise to enjoy the views and private pool. You have the complete choice to do what it is you desire most. Bedroom 1 Master: Luxurious Master suite bedroom including a 1.80m four-poster king-sized bed, Private en-suite bathroom, separate closets, Direct access to a private Balcony with the indulgent panoramic sea views. 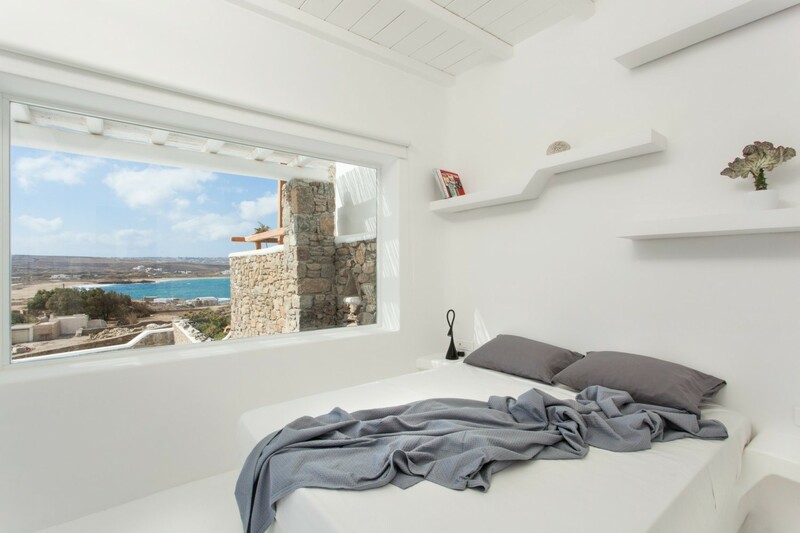 Bedroom 2: 1.60m Double bed with separate external entrance, a private en-suite shower room, Walk-in closet, Quaint fireplace, Beautiful views of the sea on the private terrace. • Two home cinemas each equipped with: screen, projector, Dolby Surround System, Blu-ray & media player, Apple TV. Full device connectivity and content streaming using Bluetooth and air-play.